This is a guest post from Danyelle Leafty of www.danyelleleafty.com. 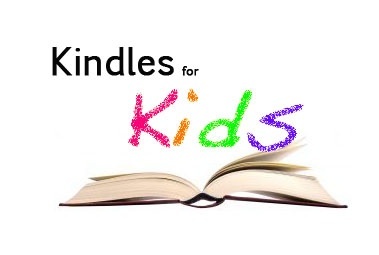 Danyelle asked if I would help her spread the word about her Kindles for Kids project. From March 12th-31st of 2012, I will be donating the *royalties I make on THE FAIRY GODMOTHER DILEMMA: CATSPELL–both in paper and e-book form–toward the purchase of the Kindle Fires. If you are an author (published) or a writer (unpublished), this link will explain it more. A more detailed link can be found here. In short, I’m hosting an open call for donating **books you have the rights to for the hospital. One book per Kindle Fire. You can also participate by writing a ***short story for a fairy tale anthology I’m putting together for the hospital. If you’re a reader, this link will give you a few ideas on how to help spread the word. The greatest help of all is to help me get the word out. 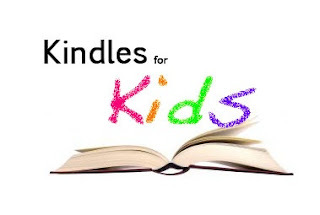 You can do this by talking to people–online and in real life, posting about Kindles for Kids on forums, groups, on your blog, and by printing out and posting fliers. More detailed link here, as well as details for a photo contest. Link for the flyer here. Buy Catspell from Amazon (paperback or ebook) or Barnes & Noble (ebook). I can’t do this without you, so thank you to all who participate in any way they can! I think this is a great idea. Please help us spread the word by tweeting and sharing this post. You can do that using the handy-dandy buttons below. The reason I chose to do Kindle Fires instead of books is two-fold: 1) the Kindles are a lot easier to clean and maintain than paper books that can get really gummy over time. They also take up less space for the hospital. 2) The Kindle Fires are a little more expensive than regular Kindles, but since these are going to go in the pediatric ward, I thought the kids would like the color and some of the free apps. This entry was posted in Guest Post and tagged Author Danyelle Leafty, donating books, Kindles for Kids by Amanda Beaty. Bookmark the permalink.